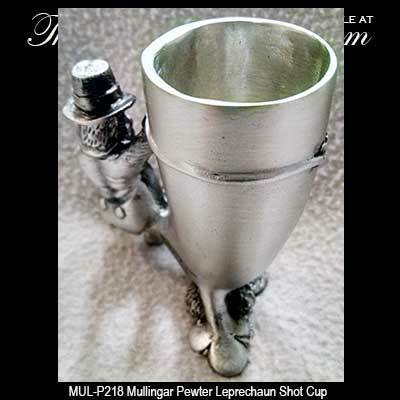 This Irish shot glass features lead free pewter construction. 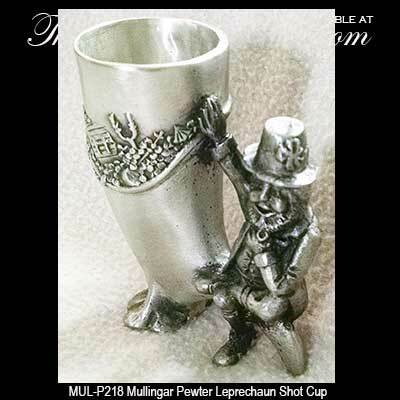 The leprechaun shot glass is made of pewter and it is enhanced with shamrock shaped feet along with a shamrock on the hat. This Irish shot glass has an embellished treasure design that features a Celtic cross and treasure chest along with the leprechaun's gold and jewels. 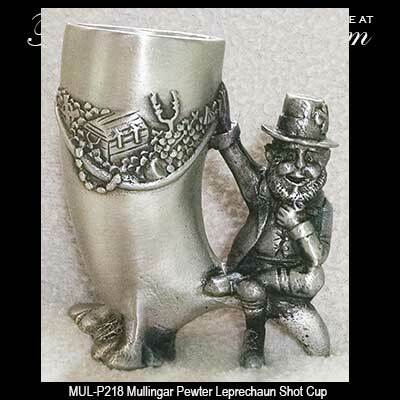 The pewter shot glass measures 2 3/4" tall x 2 1/2" wide and holds 1 1/2 ounces of whiskey. 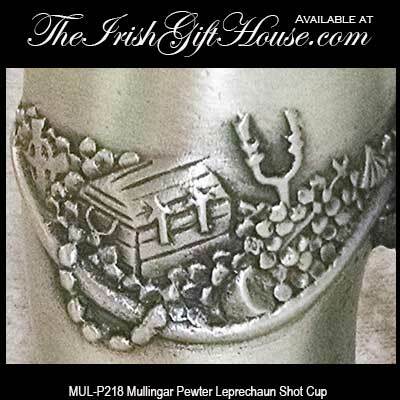 The whiskey measure is made in Ireland by Mullingar Pewter and it is gift boxed with a shamrock history card, complements of The Irish Gift House.